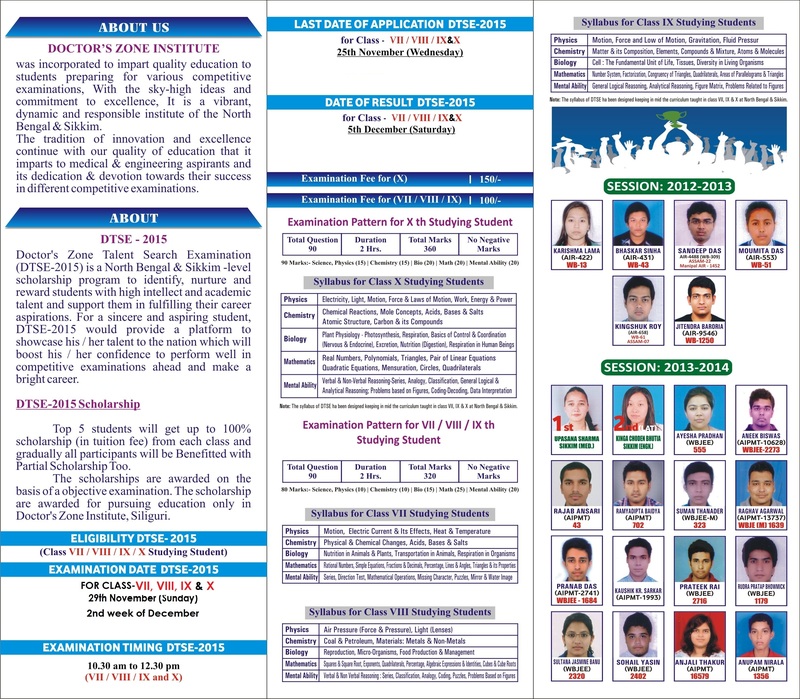 Eligibility : 12th Board Passout Students. Objective : A thorough preparation of science subjects on the basis of different Medical Entrance Exam. Study Material : Detailed study material prepared by our highly educated and experience faculty covering all the science topics of every subject is provided to every students. Course Duration : 1 Year class program. Course Highlights : Weekly 4 to 5 days classes in a week. - Weekly test will be conducted. - Progress report is sent to the parents. - The syllabus is completed within February. - After the syllabus is completed grand test will conducted on the pattern of different competitive exams.